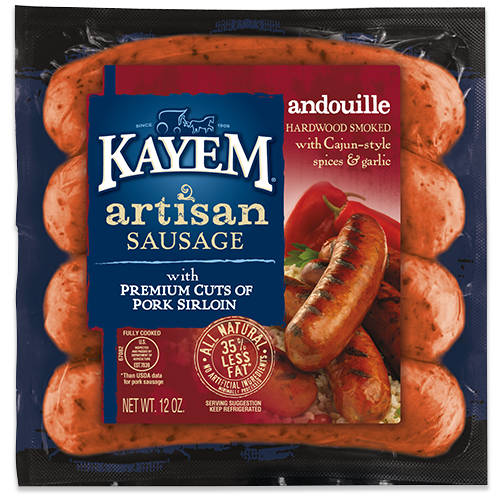 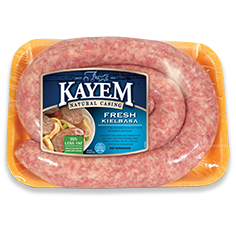 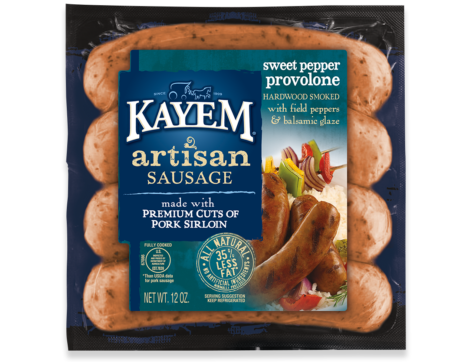 Heat up these all-natural hardwood smoked Sweet Pepper Provolone Artisan Sausages next time you’re looking to add some flare to your meal. 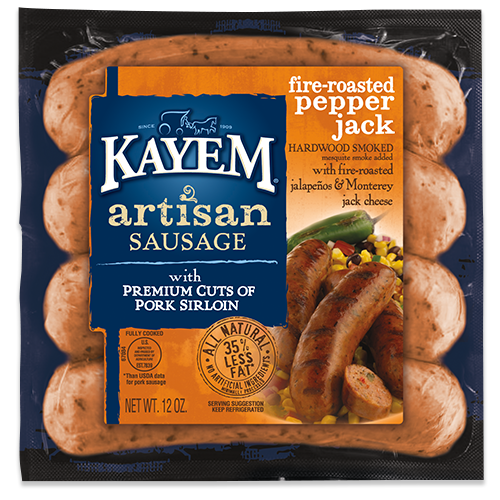 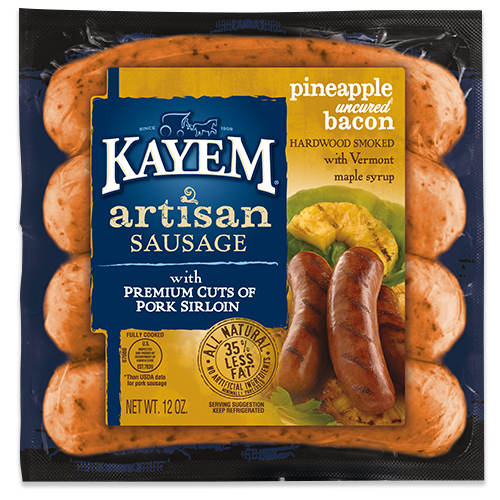 Made with premium cuts of pork sirloin, field peppers, balsamic glaze, and a blend of natural flavors with 35% less fat* than the average pork sausage. 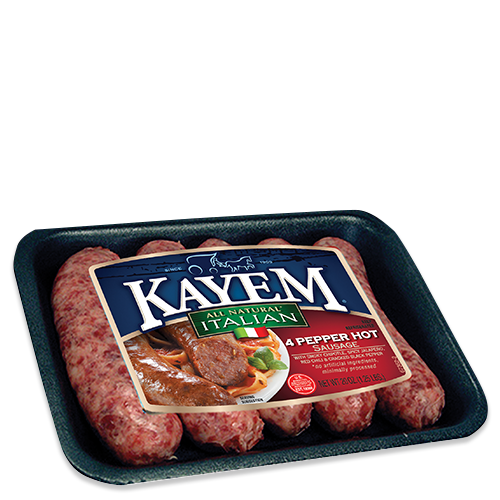 Pork, pork sirloin, water, provolone cheese (cultured pasteurized milk, enzymes, salt), contains 2% or less of red & green field bell peppers, balsamic glaze (balsamic vinegar, sugar), paprika, onions, sugar, salt, natural flavors.